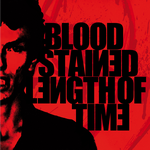 Bloodstained / Length Of Time split 7" is ready for order! Official info: Ratel’s own Bloodstained teaming up with Belgian legendary Length Of Time on this split 7″ are abaut to reveal all the filth of this world in just 10 minutes of their music. Bloodstained recorded two destroying tracks for this release over a year ago but you can treat it as a great display of what you will get from their upcoming LP. LOT presents the first version of Maleficious World from 2009 recording session different from the one on their latest release. All nicely released as a gate-folded 7″. Pressing info: 100 x solid red, 250 x black, and 60 x bloody red/black available at Recrod Release Show at 26/01/2013 in Poznan, Poland!